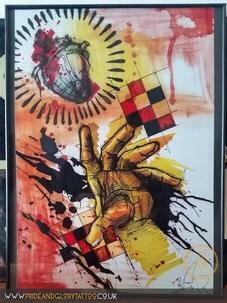 Mixed media canvas by Ricky Williams for "From street to skin" graffiti exhibition. 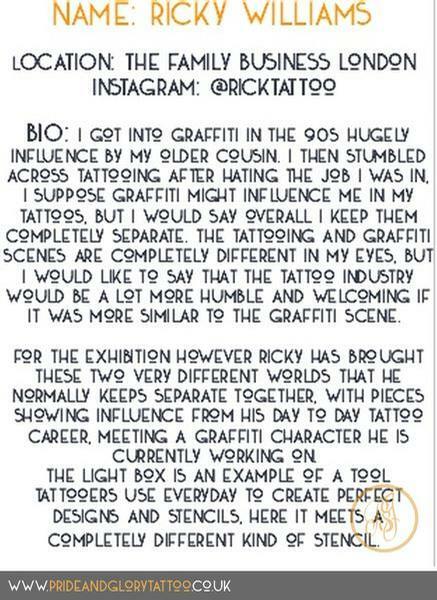 Light box installation by Ricky Williams for "From street to skin" graffiti exhibition. 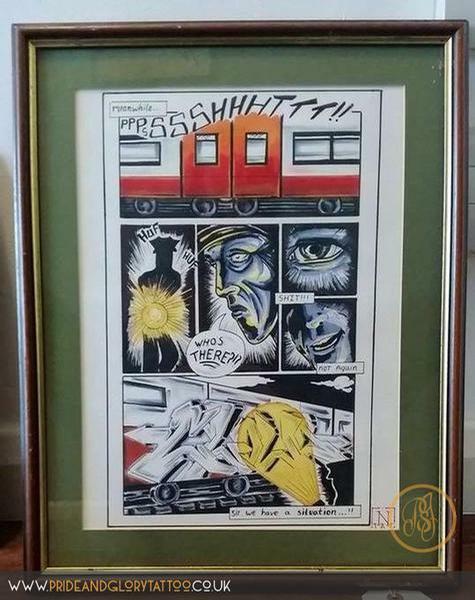 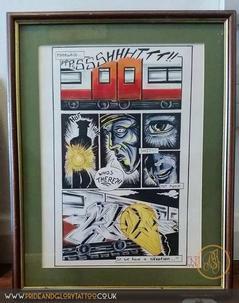 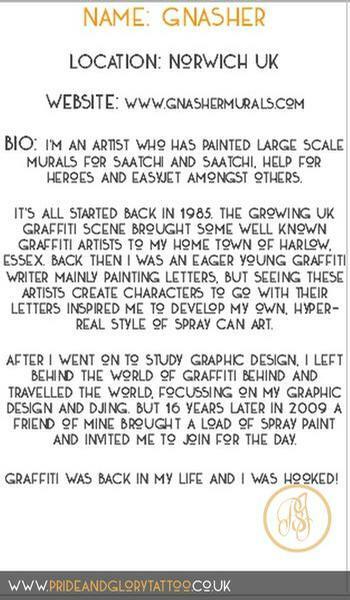 Nigel White artist bio for "From Street to skin" graffiti exhibition. 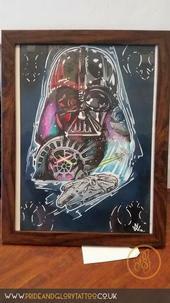 Darth Vadar by Nigel White for "From street to skin" graffiti exhibition. 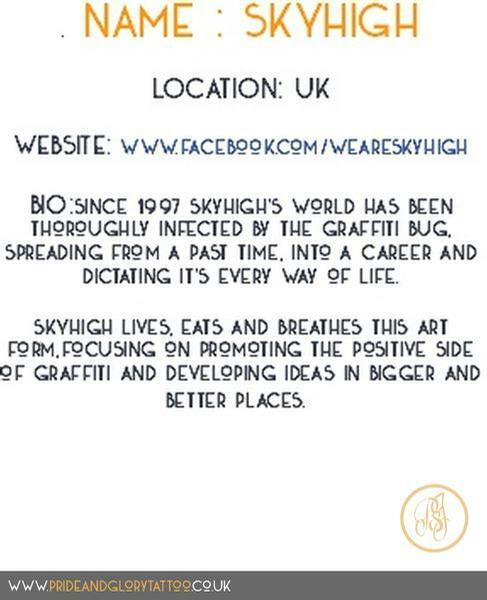 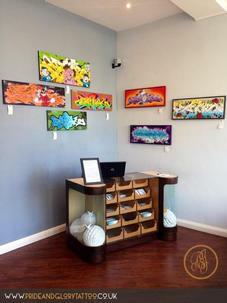 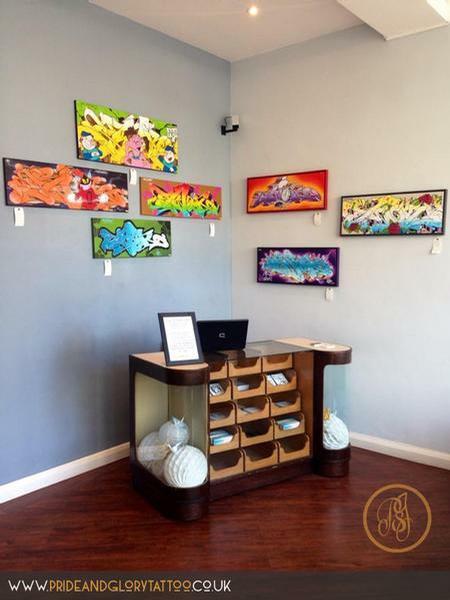 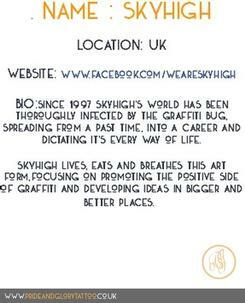 Skyhigh artist bio for "From street to skin" graffiti exhibtion. 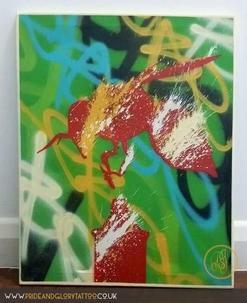 "Red Hot" Canvas by Skyhigh for "From street to skin" graffiti exhibition.
" I didn't do it!" Canvas by Skyhigh for "From street to skin" graffiti exhibition. 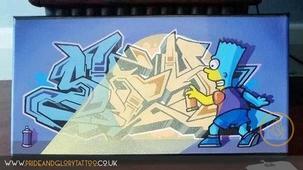 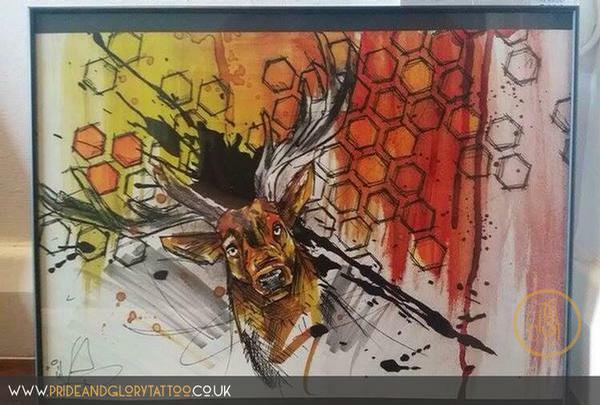 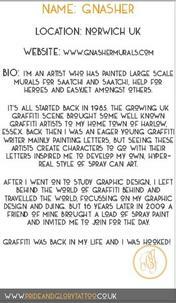 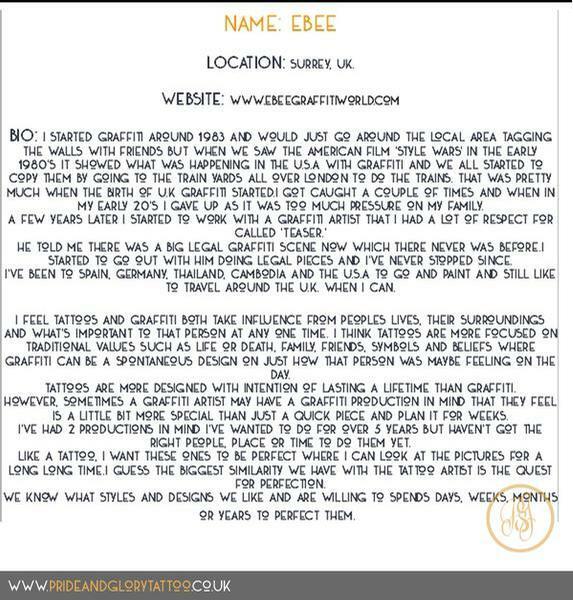 Gnasher artist bio for "From street to skin" graffiti exhibition. 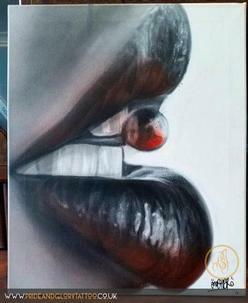 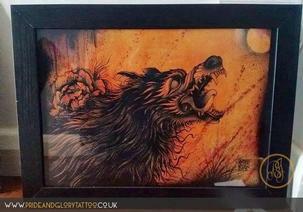 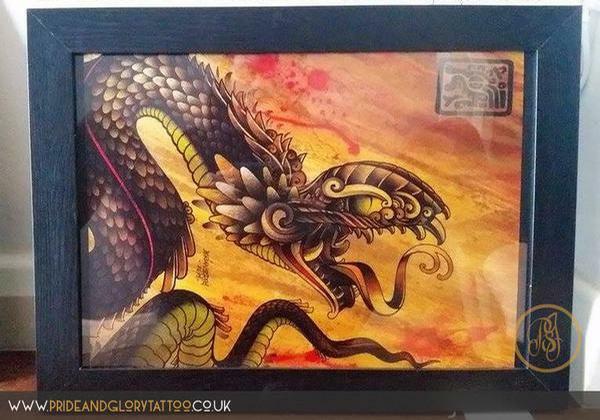 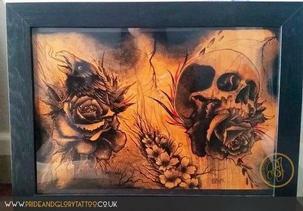 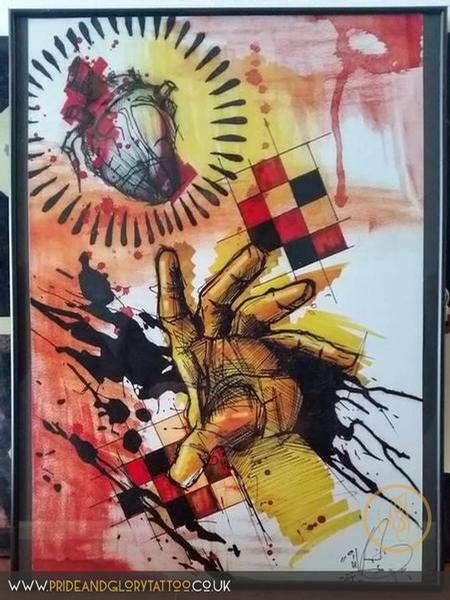 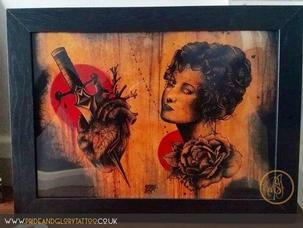 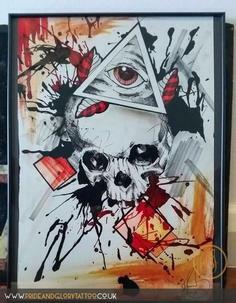 Untitled canvas by Gnasher for "From street to skin" graffiti exhibition. 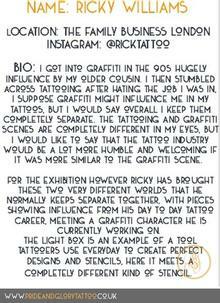 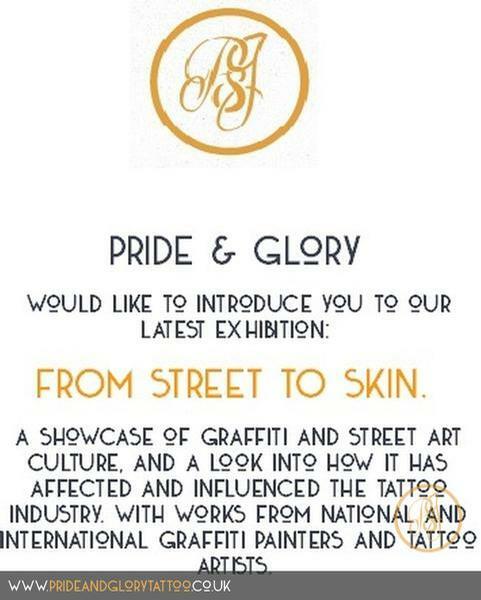 LDN ARTS artist bio for "From street to skin" graffiti exhibition. 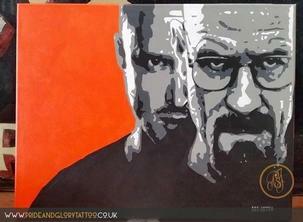 Breaking Bad Stencil canvas by LDN ARTS for "From street to skin" graffiti exhibition. 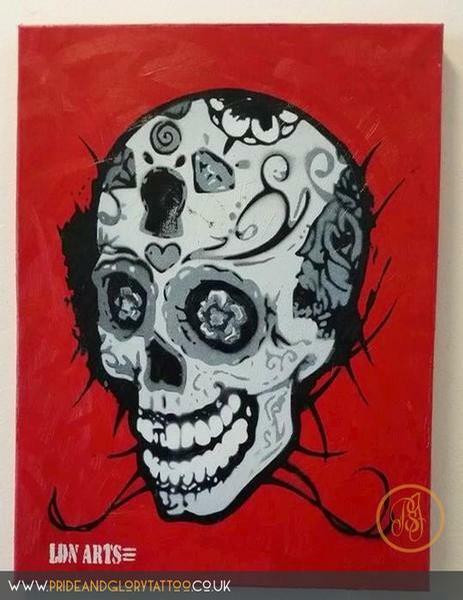 "Dia de los muertos" stencil canvas by LDN ARTS for "From street to skin" graffiti exhibition. 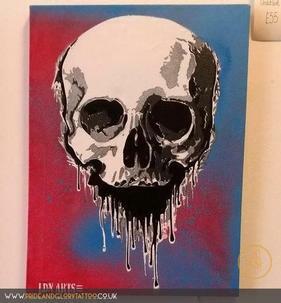 Skull stencil canvas by LDN ARTS for "From street to skin" graffiti exhibition. 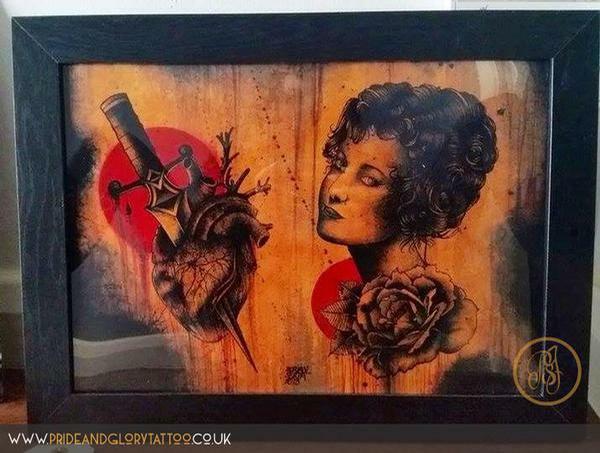 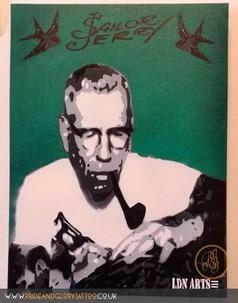 Sailor Jerry stencil canvas by LDN ARTS for "From street to skin" graffiti exhibition. 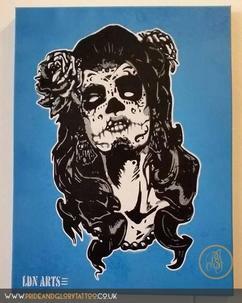 Sugar skull stencil canvas by LDN ARTS for "From street to skin" graffiti exhibition. 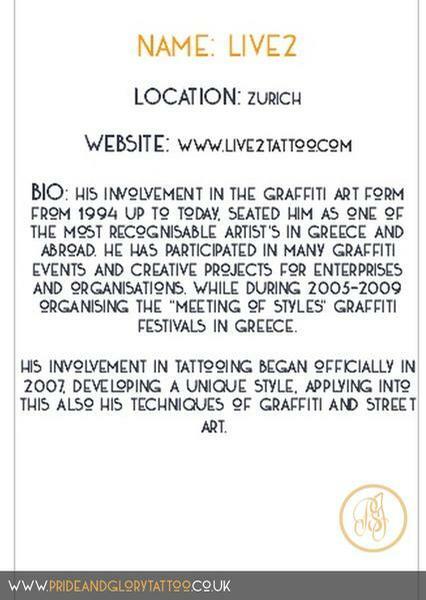 LIVE2 artist bio for "From street to skin" graffiti exhibition. Untitled print by Live2 for "From street to skin" graffiti exhibition. 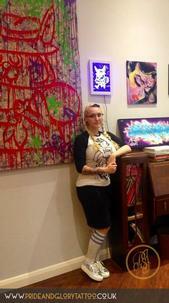 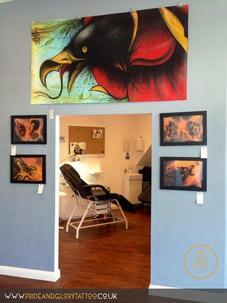 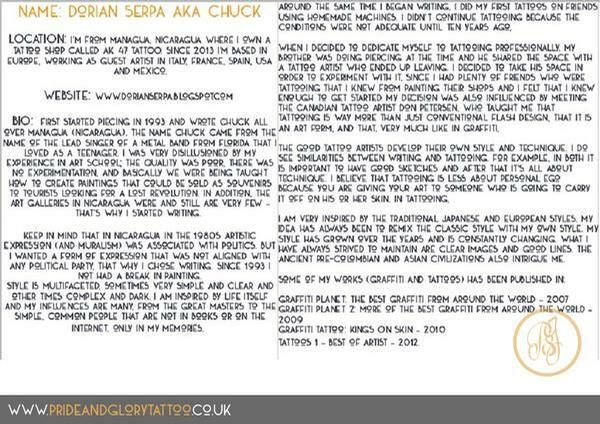 Dorian Serpa artist bio for "From street to skin". 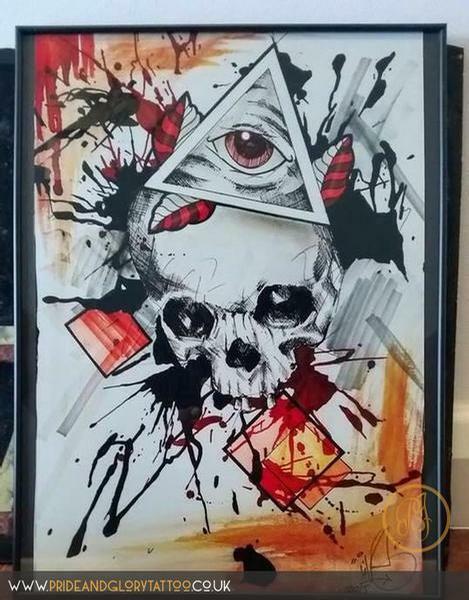 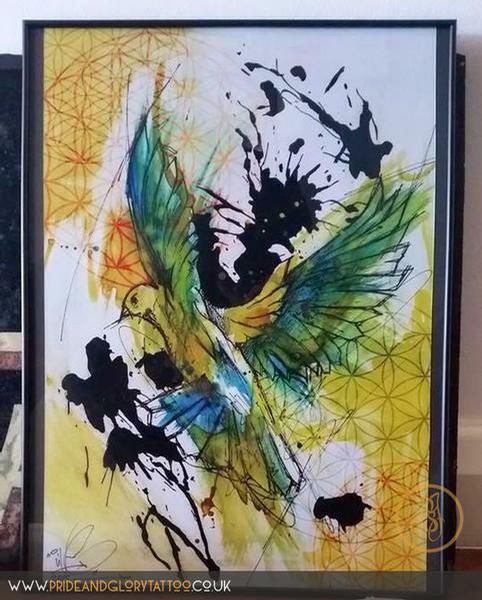 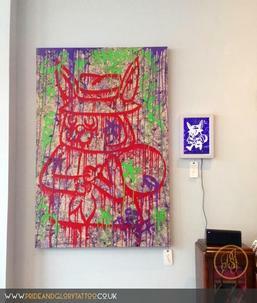 Untitled canvas by Dorian Serpa for "From street to skin" graffiti exhibition. 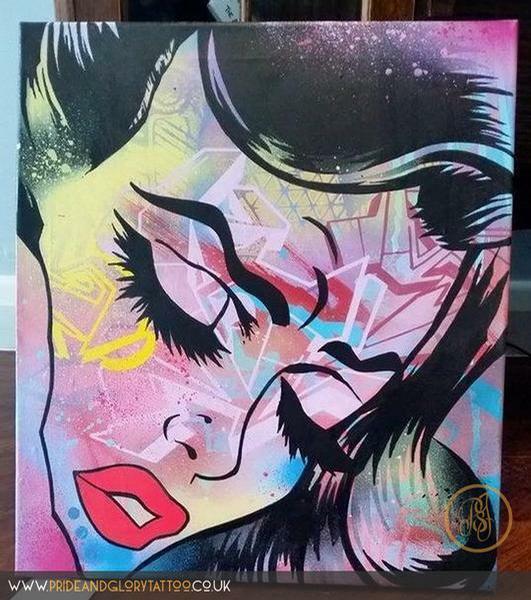 Untitled print by Dorian Serpa for "From street to skin" graffiti exhibition. 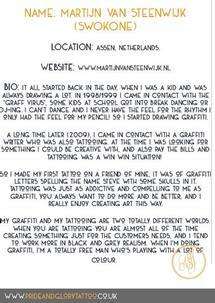 Martijn van Steenwijk artist bio for "From street to skin". 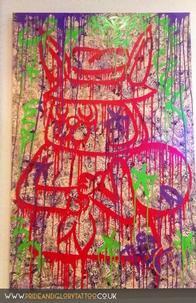 "The Magician" by Martijn van Steenwijk for "From street to skin" graffiti exhibition. 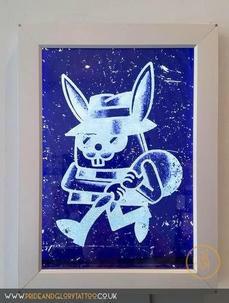 "The window" by Martijn van Steenwijk for "From street to skin" graffiti exhibition. 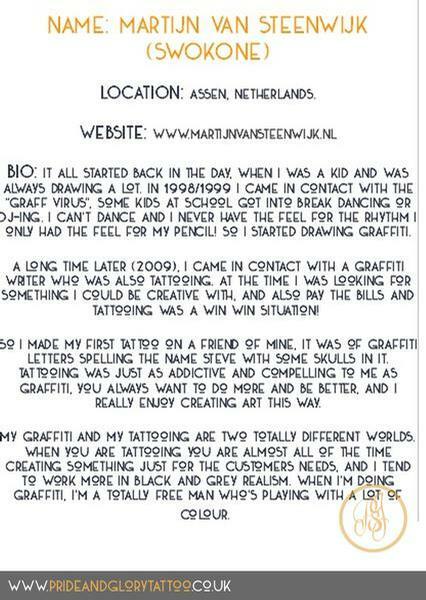 "Time to Swok this world" by Martijn van Steenwijk for "From street to skin" graffiti exhibition. 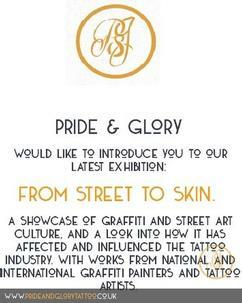 "Pure Graff" by Martijn van Steenwijk for "From street to skin" graffiti exhibition. 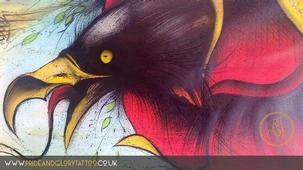 "Rainbow Warrior" by Martijn van Steenwijk for "From street to skin" graffiti exhibition. 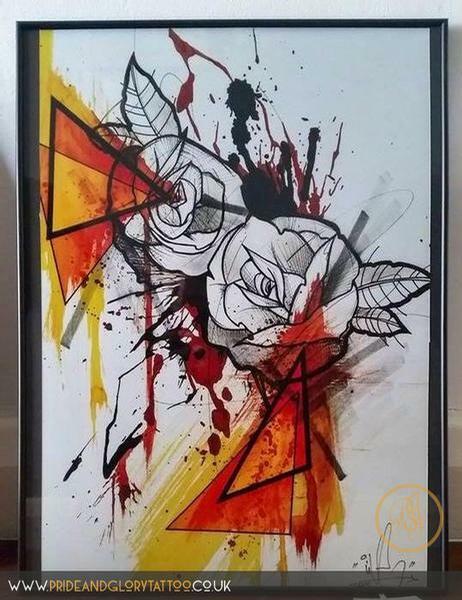 "Roses and thorns" by Martijn van Steenwijk for "From street to skin" graffiti exhibition. 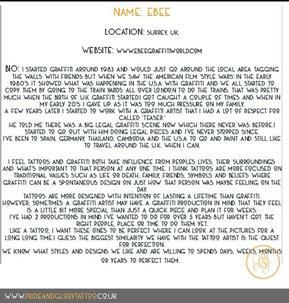 Ebee artist bio for "From street to skin". 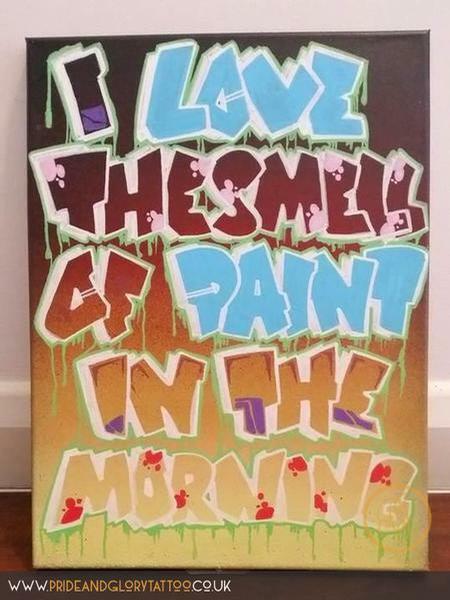 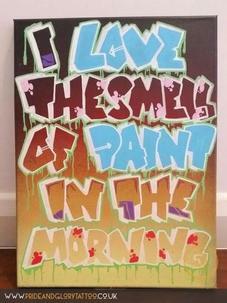 "I love the smell of paint in the morning" by Ebee for "From street to skin" graffiti exhibition. "Free the bees" by Ebee for "from street to skin" graffiti exhibition. 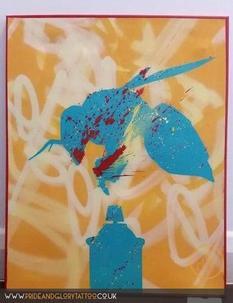 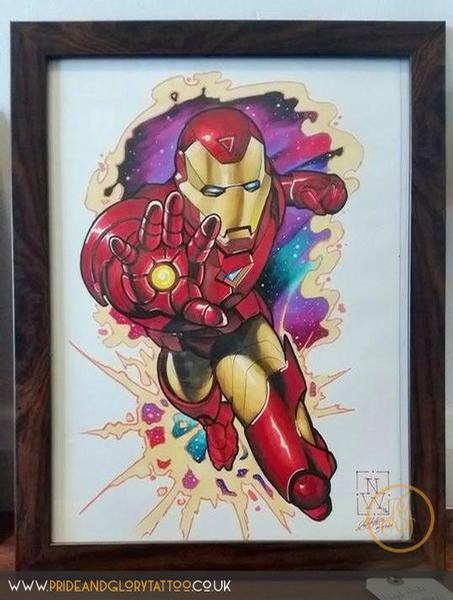 "Ebee can explosion" by Ebee for "From street to skin" graffiti exhibition.